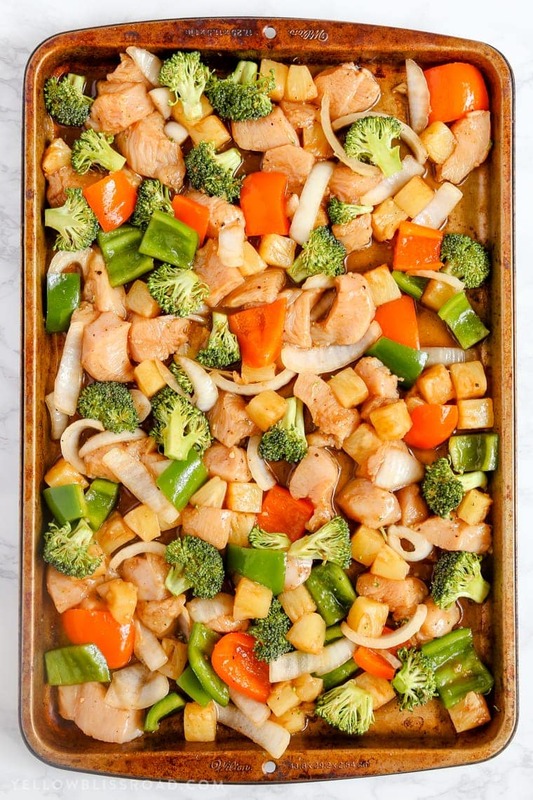 This Teriyaki Barbecue Pineapple Chicken Sheet Pan Dinner is a quick and easy meal that’s sweet and savory and gets dinner on the table in minutes! Don’t you love it when you can get a complete meal made in one pan? 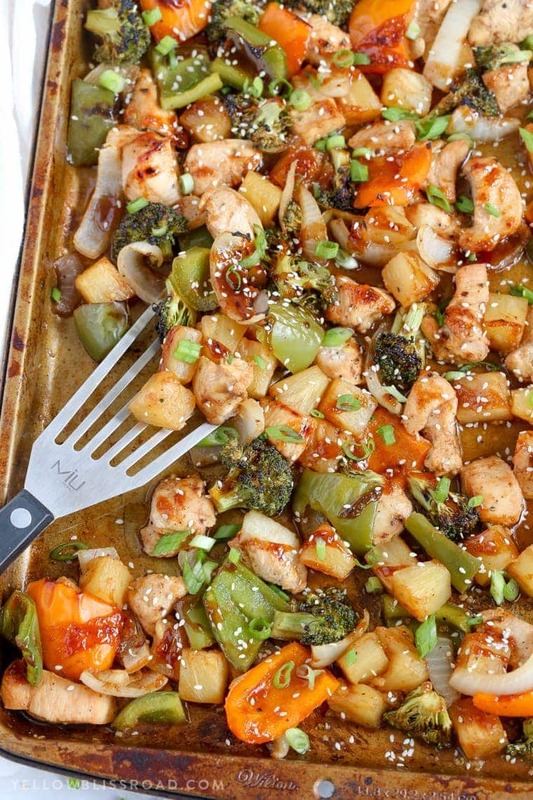 I know I do, especially when that meal is as easy as this Teriyaki Barbecue Pineapple Chicken Sheet Pan Dinner. 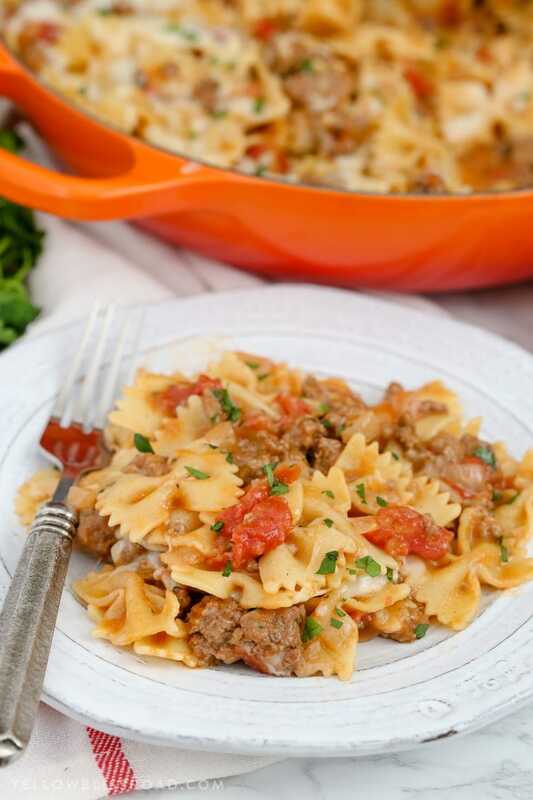 This is a great dinner that can easily use up any leftover veggies you have in the fridge, too. First step is to make a simple marinade for the chicken and veggies. The base for the marinade is just your favorite barbecue sauce combined with some soy sauce, honey, garlic and pineapple juice. 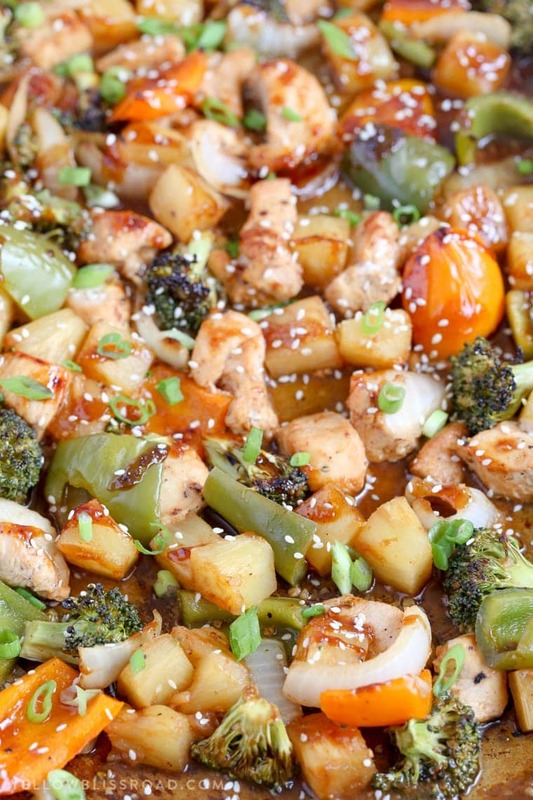 After chopping a bunch of chicken and vegetables, just toss it all together with the marinade – easy peasy! About half of the marinade is going to be simmered on the stove to make a sauce for the Teriyaki Barbecue Pineapple Chicken, so be sure to note that in the instructions. After after 30 minutes (or more if you have the time) everything gets arranged on a sheet pan and baked in the oven for about 20 minutes. 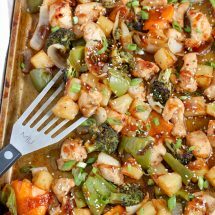 Meanwhile the sauce is simmered and thickened, then drizzled over the chicken and vegetables about halfway through their cooking time. As it finishes cooking, the sauce gets nice and caramelized and just the gorgeous golden brown color. 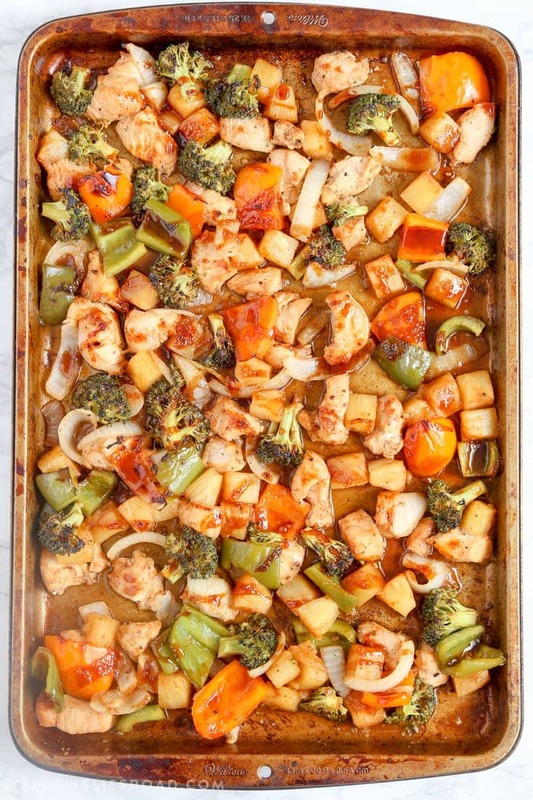 This sheet pan dinner is wonderful just on it’s own but can also be served with rice, quinoa or noodles. 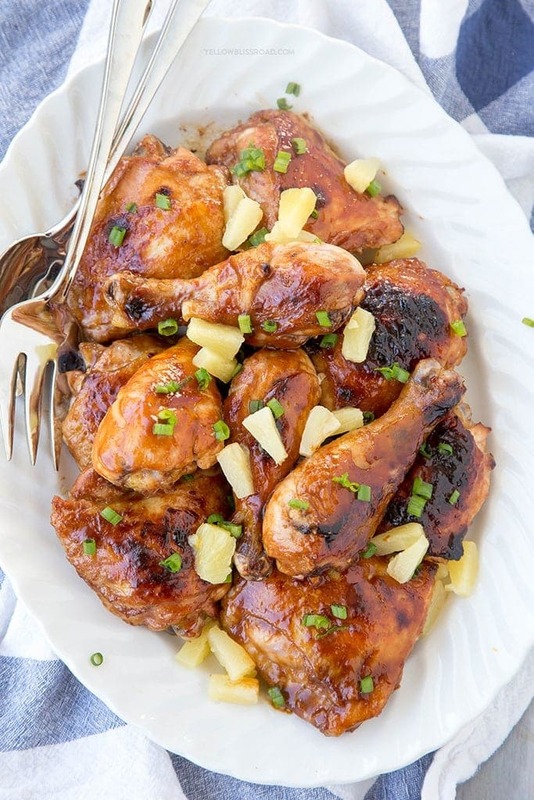 *Note, there maybe a lot of liquid in the pan from the marinade and the pineapple; just simple spoon it out, bot it with a paper towel or drizzle over the dish as you serve it. 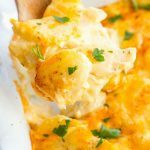 Cut chicken and vegetables into large, bite-sized chunks. Place into a large zip-top bag. 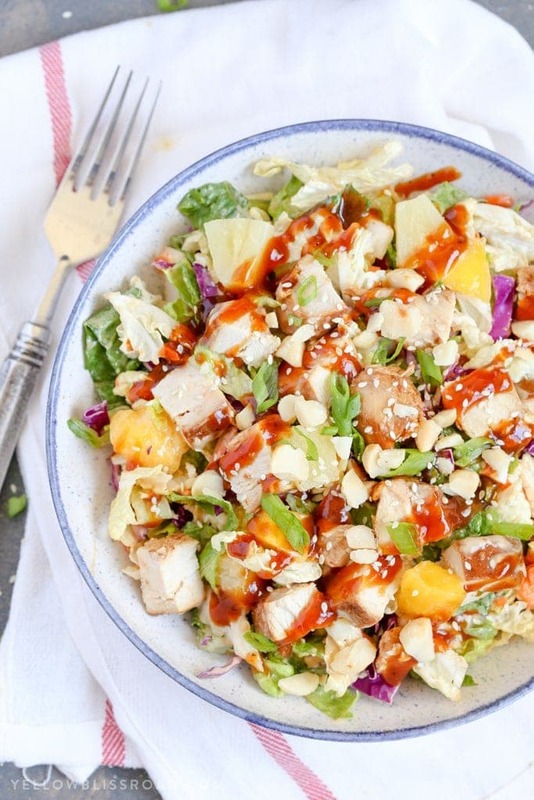 Drain pineapple, reserving 1/2 cup of the juice, and add to the vegetables and chicken in the zip-top bag. Whisk together marinade ingredients in a small bowl. Reserve about 1 cup of the marinade and pour the rest over the chicken and vegetables. Seal the bag and shake to even coat and massage into the meat. Set in the fridge to marinate for 30 minutes. 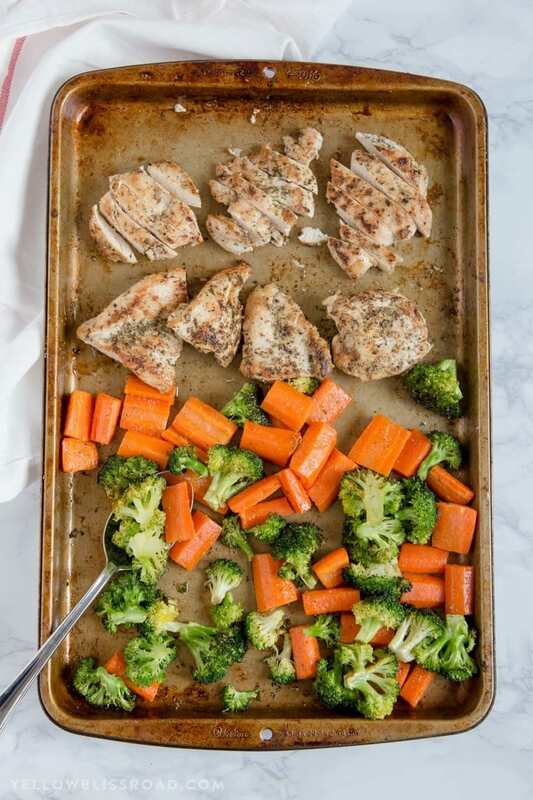 Remove chicken and vegetables from the bag and arrange in a single layer on a large sheet pan, discarding any remaining marinade. 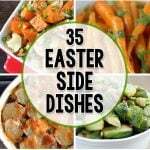 (Use tongs or a slotted spoon for this; do not pour onto the tray. 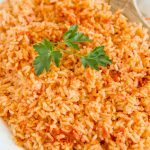 You want as little liquid as possible because there will be more liquid created as it cooks). Roast in the preheated oven for 10 minutes. Meanwhile, pour the reserved marinade (not from the bag) into a small saucepan over medium heat. Bring to a low boil and reduce heat to medium-low. Simmer for 5-7 minutes or until the sauce is thickened and reduced by about half. 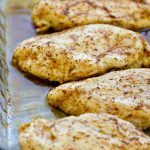 Remove the sheet pan from the oven and turn on the broiler. Move the top rack up. (*There will be quite a bit of liquid in the pan from the pineapple and the marinade. I just used paper towels to soak up most of it, then stirred everything together). 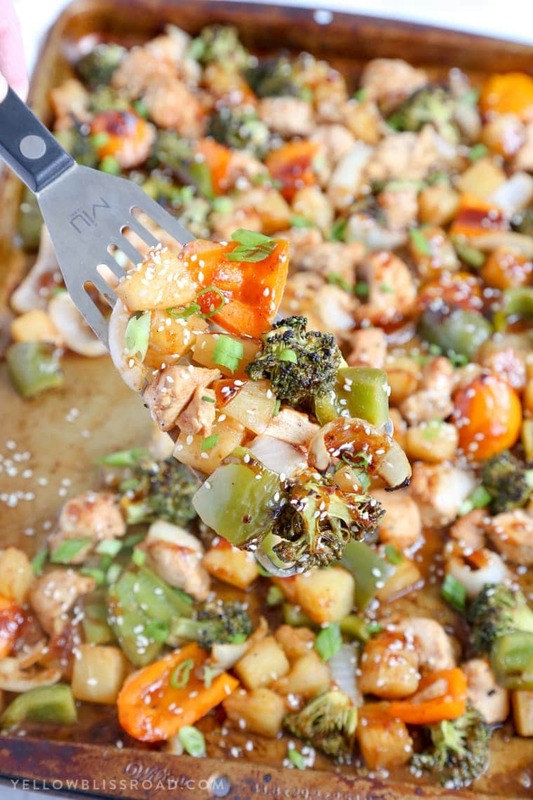 Pour the thickened sauce evenly over the top of the chicken and vegetables. 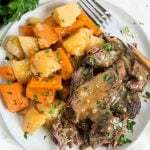 Slide back into the oven under the preheated broiler for about 5-7 minutes or until sauce is bubbly and meat and veggies are browned. Garnish with sliced green onions and sesame seeds, if desired, and serve with rice or noodles. 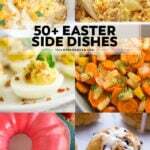 For all one pan meals go HERE, for all dinner recipes go HERE and for the Recipe Index go HERE. Thank you Whitney! and thanks for sharing your experience! I made this for dinner tonight and it was ABSOLUTELY DELICIOUS!!!! 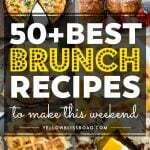 I made it exactly as your recipe stated and my husband and I loved it. I can’t believe how quick and easy it was. We will definitely make this again. Thanks for sharing it! 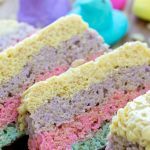 That’s great Lindsay, so glad you enjoyed this recipe! !